(June 13, 2018) Today on Facebook, Toya, the wife of Chicago-born keyboardist and singer Ghalib Ghallab, posted the following: Dear friends and family this is Toya, Ghalib’s wife. I wanted to let you all know that Ghalib my husband, my love, my friend of 38 years passed last night. To all of you thanks for your love and support. Please think of him often with happiness and a song in your soul. 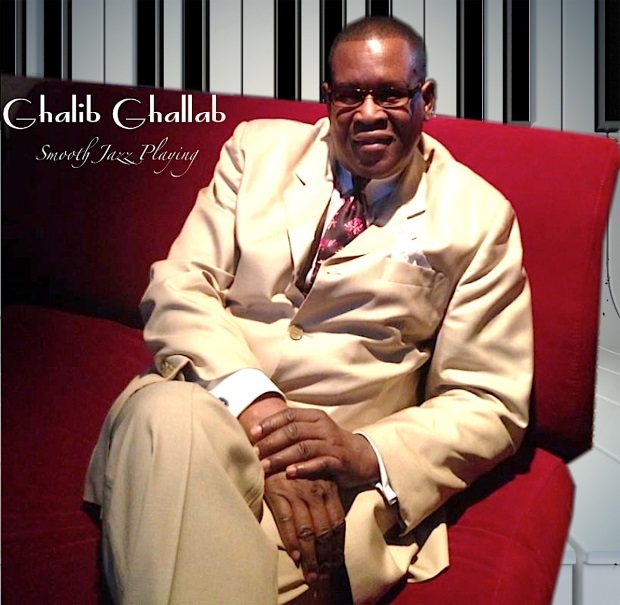 After graduating from San Francisco State University in the early 70s, Ghallab became a staple in the Bay Area, performing with such legendary artists as Ahmad Jamal and McCoy Tyner. He moved back to Chicago in the 80s and recorded four albums that attracted both soul and jazz fans, and he played regularly in jazz clubs around the city. Then, as the 90s arose, Ghallab relocated to Las Vegas, forming the group The Ghalib Ghallab Experience, and playing in clubs in all of the major facilities there. He stated on his website, "My playing is percussive and always aiming for that special groove that hits home. That’s what I’m all about, making people feel good and playing what comes naturally. I truly feel blessed to be able to express myself musically and make my audiences happy. I love to entertaining and working hard while having fun." That he did for over forty years. Rest In Peace, Mr. Ghallab.